There is simply nothing like the choreography of August Bournonville. With so much amazing ballet in the city, it is still a rare treat to see lead dancers from the Royal Danish Ballet in a program of Bournonville excerpts at the Joyce. The repertory dates to the mid-19th century, yet feels timeless. Its breadth is represented here and includes a modern-feeling male duet of Jockey Dance to the glorious abundance of the folk-infused Napoli, Act III. The lack of sets may actually serve to let the dance emerge more clearly. Susanne Grinder and Ulrik Birkkjaer in Napoli. The inventive phrasing which can change directions in the blink of an eye. The thrilling musicality, which underscores the cursive flow of the dance phrasing. Moments of stillness in contrast to great space-eating passages. An entire section of grand allegro in which a man's feet barely touch the floor. Details such as landing a jump with the arms held above the head with the palms facing outward rather than inward; or turn preparation from the second position rather than fourth; or landing a pirouette gently in a closed fifth position. There is such joy and life in the style, while it retains a consistent elegance and purity. This attitude is summed up in the signature leap, with the front leg straight, the trailing leg bent to form a split, and the arms spreading in front in a welcoming gesture. 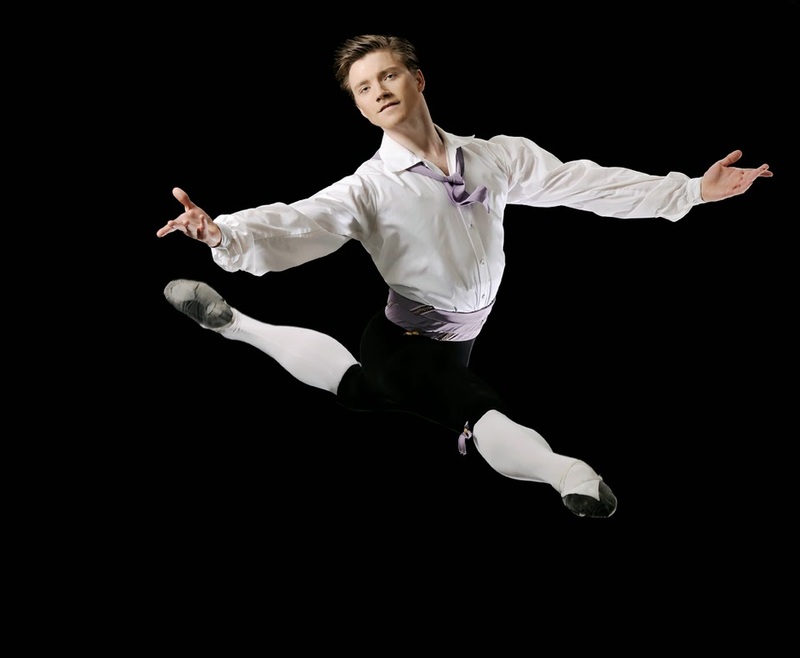 Ulrik Birkkjaer, a principal dancer who also organized the tour, exemplifies the company's style and aesthetic. In La Sylphide, kilt-clad, he leaps and slices across the stage like a laser beam, his ballon and precision astonishing—and effortless. All of the other 12 dancers on this ingenious bill gave charming, smart performances that deepened a love of the art form. This includes Sorella Englund, a former principal, now a character artist and ballet master, who performed the sorceress in La Sylphide and reminded us of the keen importance of gesture and acting. One single terrifying gesture of hers aimed at Birkkjaer seemed to drive him into the ground, and it certainly electrified us mortal viewers. While the company, now led by NYCB alum Nikolai Hübbe, is uniquely prepared to perform Bournonville, even its skilled members encountered some difficulties, no doubt magnified by our close proximity to the stage. Wobbly balances, an occasional unpointed foot, indecisive finishes to pirouettes, a tendency to push a few degrees too hard to achieve more height... all reminders that very few other companies could undertake this exquisite, difficult repertory. Read Marina Harss' New York Times piece here.